“We imagine poetry as a very fast vehicle directed towards infinity”. Americans and Others” (Camion Press, Turin/Italy, 2019), an anthology of international poets edited by Giulio Tedeschi for Camion: output by 2019. Limited edition for the poetic tribe, in Italian, English & French. Text by Neeli Cherkovski, Al Winans, Michael Rothenberg, Justin Booth, John Guzlowski, Bengt O Björklund, Giancarlo Pavanello, Jake Berry, Gabor Gyukics, Mauro Macario, Giulio Tedeschi, Joe Lobell, Paul Richmond, Eric Neirynck, El Habib Louai, Faruk Buzhala, Youssef Alaoui, Bill Gainer, Richard Joseph Cronborg, Shiv Mirabito, Faruk Buzhala, Bob MacKenzie, Karel Logist and others. Un collage dell’Artista Pop losangelino Ace Farren Ford verrà utilizzato come copertina dell’antologia. 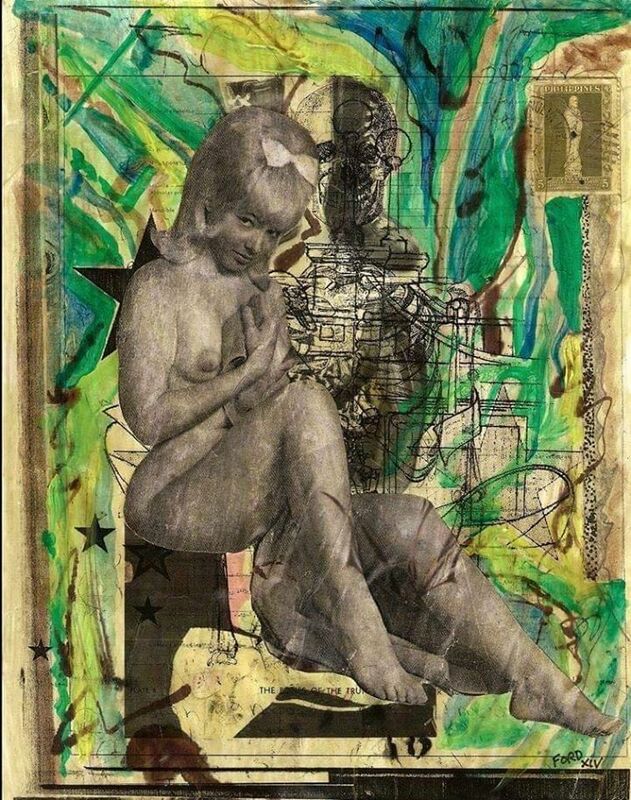 Collage by the Los Angeles pop artist Ace Farren Ford that will be used as the cover of the anthology. “A unique collection that brings together what we consider an interesting testimony of the best of international poetry (at the moment, authors from: United States, Canada, Sweden, Italy , Hungary, France, Belgium, Morocco, Kosovo). The texts will be in English, French and Italian. Some in original language and translation in Italian in front, others only with original text. The circulation will be limited and addressed in a special way to the area of “poets”. Una raccolta unica nel suo genere (curata da Giulio Tedeschi, con il contributo dell’audio-rivista Camion) che riunisce quello che riteniamo una interessante testimonianze del meglio della poesia internazionale (al momento, autori da: Stati Uniti, Canada, Svezia, Italia, Ungheria, Francia, Belgio, Marocco, Kossovo). I testi saranno in inglese, francese e italiano. Alcuni in lingua originale e traduzione in italiano a fronte, altri solo con testo originale. La tiratura sarà limitata e indirizzata in modo speciale verso l’area dei “poeti”. Perchè il titolo “Americans and Others”? Riteniamo la comunicazione poetica nord-america molto vicina al sentimento del nostro tempo.